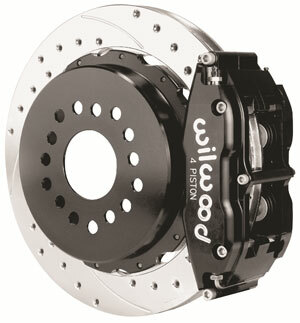 Wilwood brake kits are loaded with cutting edge disc brake technology and backed by Wilwood's 25 year tradition of building championship brake systems. These kits provide Big Brake stopping power and are the perfect compliment to wheel, tire, and suspension system upgrades. 13" kits use the Superlite 4R 4 piston caliper and 12" kits use the Dynalyte 4 piston caliper. Hoses not included, use part #220-7056. Note: Rotor finish may vary.